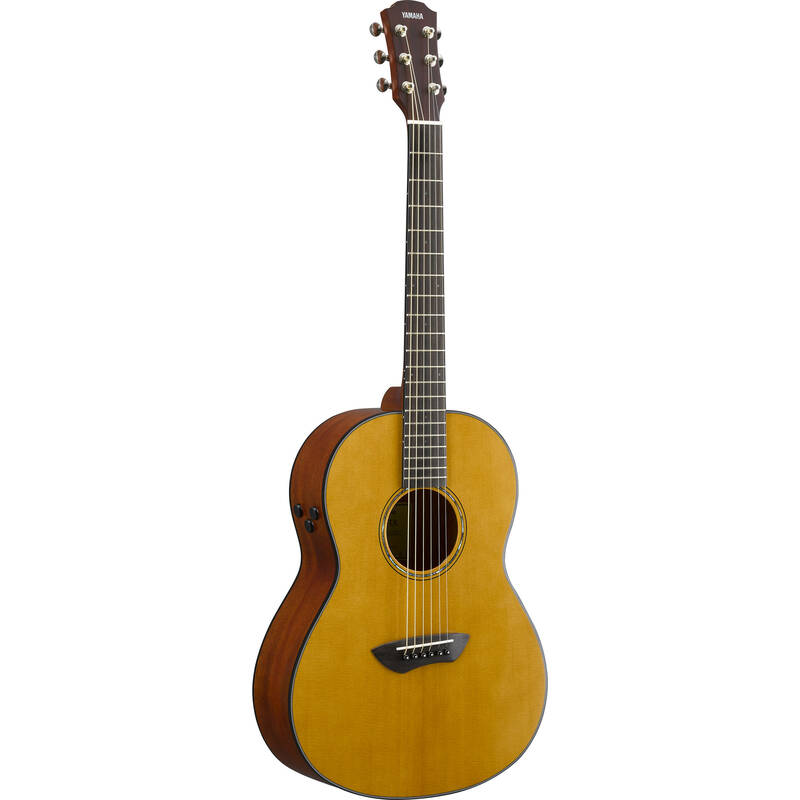 The vintage natural gloss Yamaha CSF-TA is a TransAcoustic Series parlor acoustic/electric guitar offering traditional acoustic tones and internally amplified effects for guitarists at home, on stage, or in the studio. Its System 70 TransAcoustic electronics allow use of the built-in reverb and chorus without external amplification by employing the guitar's resonance to project the effects. An integrated SRT piezo pickup feeds the 1/4" output for easy hookup to an amplifier or audio interface/mixer. 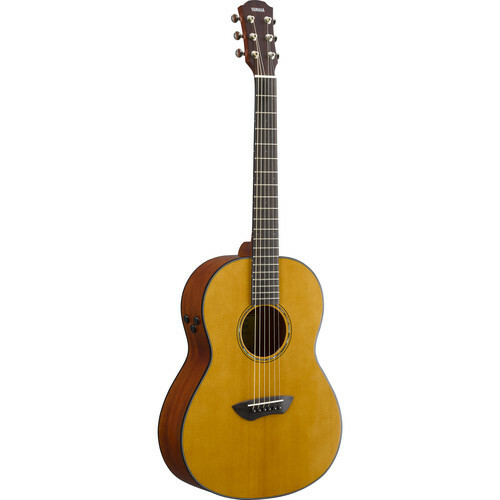 The CSF-TA's back and sides are constructed from mahogany, while the top is solid Sitka spruce. The nato neck is capped with a 21-fret rosewood fingerboard and side dot markers. Controls mounted on the side of the CSF-TA provided straightforward access to the line output volume and TransAcoustic settings. A hard bag is included for safe and convenient transport. where is this guitar made? What is the nut width? This measurement should be included in the specifications tab.